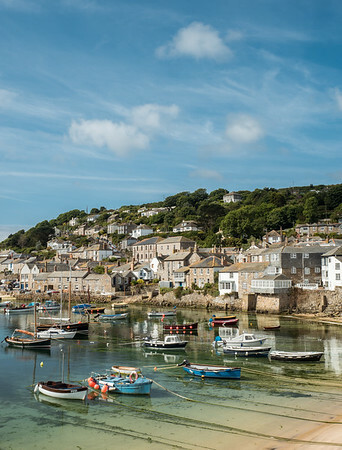 At the western extremity of England lie the counties of Devon and Cornwall, famed for their rugged coastlines and sleepy villages. 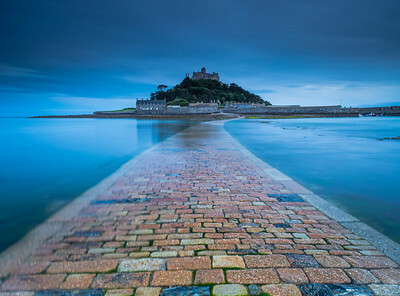 A stone causeway just below the surface leads up to St Michael's Mount. 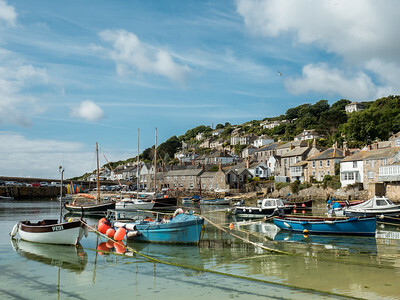 Fishing boats in Mousehole harbour on a sunny day at high tide. Dawn at Trevose lighthouse on a stormy day. A pebble in a pool amongst the rocks at Widemouth Bay. Reflections of the setting sun on the wet sand of Bude beach. 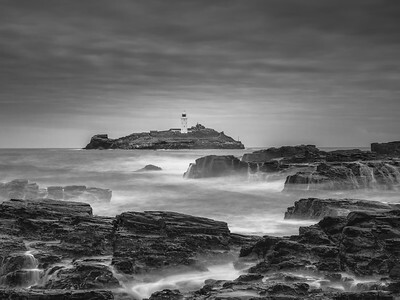 Seawater pouring over the rocks below Godrevy lighthouse at high tide. Sunset over St Michaael's Mount lloking along the causeway.. 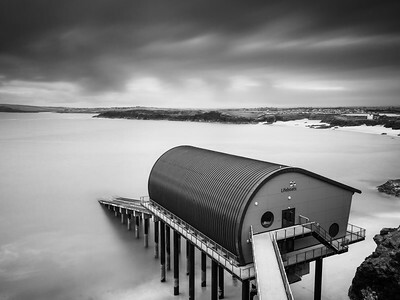 The RNLI Padstow Lifeboat Station at dawn. Lines of jagged rocks stretching out to to the sea and sunset. 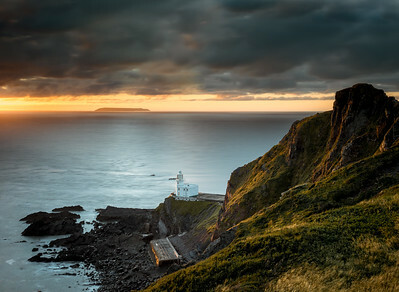 The last light of the day hits Hartland Point Lighthouse. 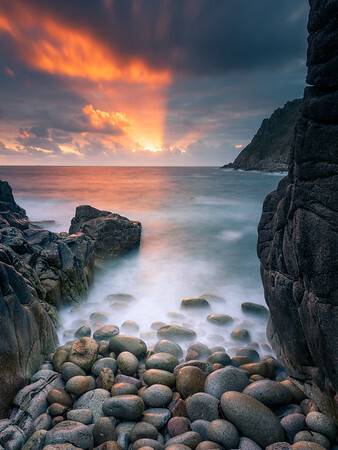 Sunrays lighting up the clouds ove a hidden cove near Porth Nanven at sunset. 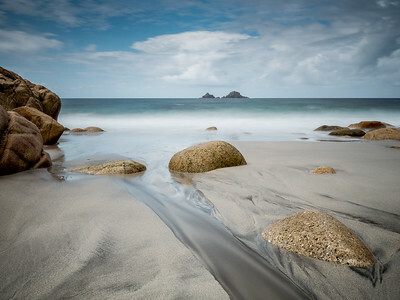 Long exposure image of Porthcurno Beach. Water flows through a hole in the rock at St Nectan's waterfall. Dark rocks in front of St Michael's Mount at dusk. A small stream of water runs between rocks into the sea at Porth Nanven. Stormy day on the cliffs above Porth-Cadjack cove. River running through St Nectan's Glen.